NZ Herald 4/5 Stars "The rich storytelling veins being tapped into here suggest a universe of possibilities." Drama from the producers of Waru that tells eight stories about one woman's journey of empowerment through culture. 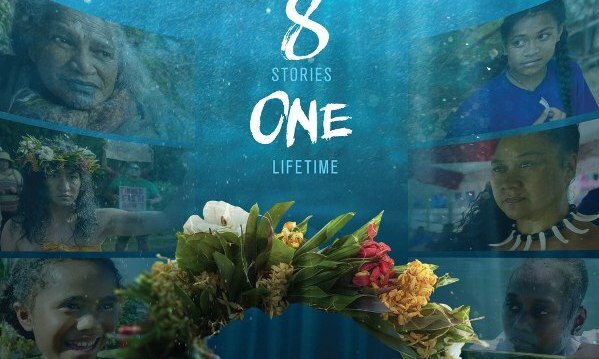 Vai is a film about female empowerment that spans the breadth of the Pacific telling the story of one woman’s life in eight separate moments from the perspective of eight different pacific island cultures. ‘Vai’ is a portmanteau feature film made by 9 female Pacific filmmakers, filmed in 7 different Pacific countries: Fiji, Tonga, Solomon Islands, Kuki Airani (Cook Islands), Samoa, Niue and Aotearoa (New Zealand). It is about the journey of empowerment through culture over the lifetime of one woman, Vai, played by a different indigenous actress in each of the Pacific countries. Vai carries the theme of water and connection through her journey across the islands. Due to our small capacity we recommend that reserves are made using the web reservation system as shown below. The office is usually open Mondays to Fridays from 10am to 2pm for pre-purchase of tickets or to pay for reserves. We accept online reserve requests up to about 1 pm on the day of screening– provided the session isn’t already full.